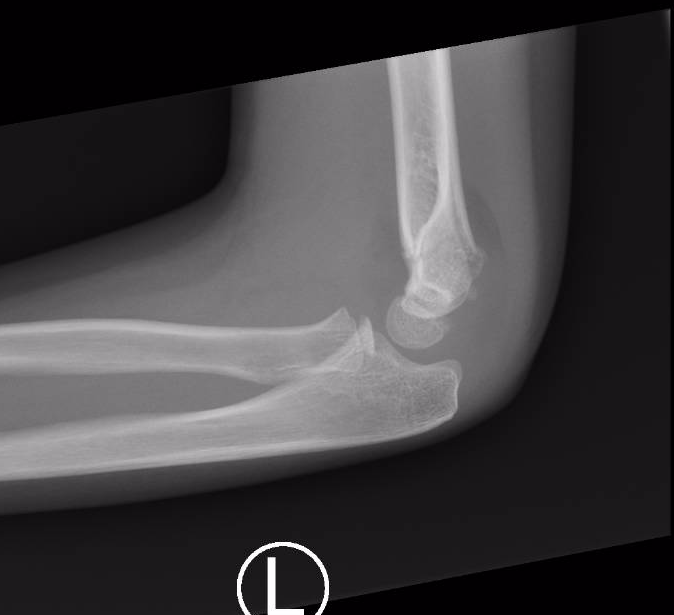 Supracondylar fractures are very common in children, usually from a fall onto an outstretched hand or onto the forearm. Generally, if the anterior humeral line bisects the capitellum, then the fracture can be managed in an above elbow backslab. 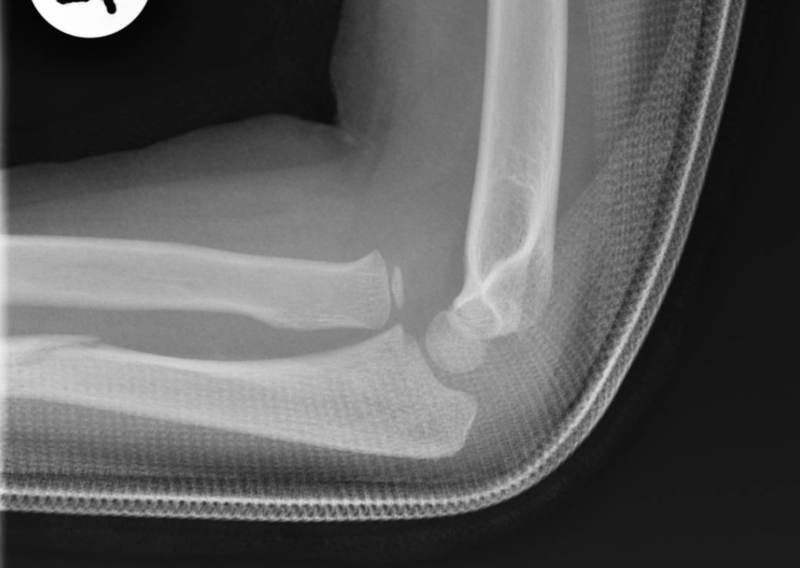 If the fracture is displaced or angulated so that the anterior humeral line does NOT bisect the capitellum, then the fracture requires orthopaedic opinion. In the example below, the anterior fat pad is raised and posterior fat pad is evident, as well as a transverse fracture of the supracondylar area. 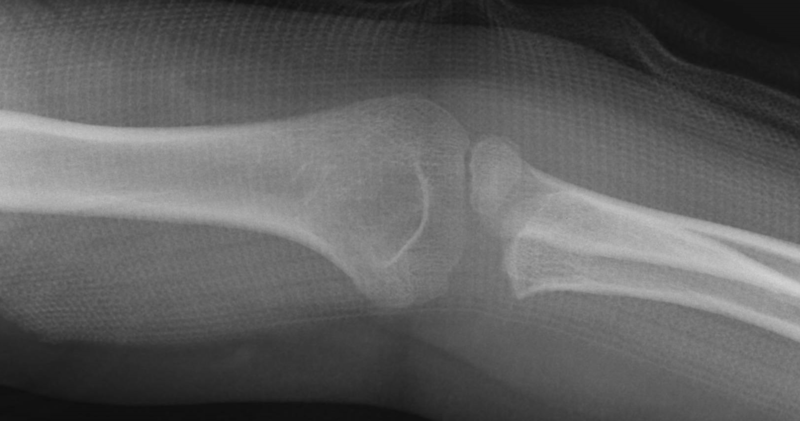 Sometimes the fracture is not visible, but if the posterior fat pad is present, there is still a fracture. In children, this is usually an undisplaced supracondylar fracture, whereas in adults it is most likely a radial head or neck fracture. 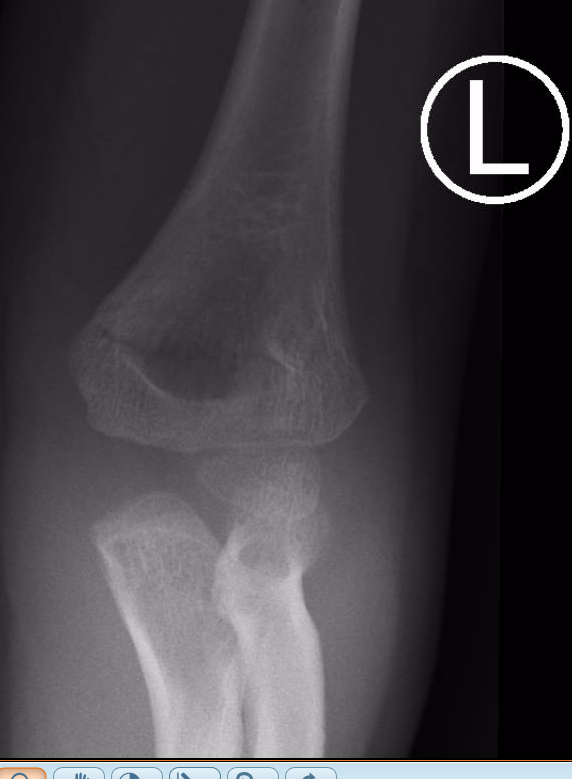 A fracture of the ulnar shaft with a dislocation of the radial head. These injuries usually require operative management. A line drawn through the centre of the radial neck / head should always point to the capitellum.